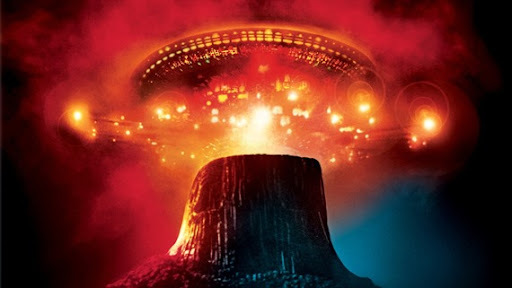 I watched Close Encounters of the Third Kind again tonight, and remembered how magical it was the first time I saw it. It still is. It’s a film that captured my awe and imagination in way few other films have ever done, though Contact came close. It was all done in those prehistoric days before CGI, when, if you wanted to show something fantastic on the screen, you had to actually build it, whether full size or in miniature, and shoot it with a real camera so that it looked real. Spielberg utterly pulled it off. Even today, with all the advances we’ve made in movie special effects, there’s not one thing in the movie that takes me out of that world. But it’s not just the special effects. It’s the awe and wonder that is the powerful attractant that pulls me back in, again and again. I was just a kid when I saw it the very first time. I remember vividly I felt like crying at the end of it, and it took me years to figure out why. There have been things I’ve been through, and times in my life that I would have sold my soul to whatever devil existed to be able to escape and fly away from all my troubles the way Roy Neary did at the end. Even today it’s a compelling thought, a soothing fantasy. I really hope dying feels like that. Hollywood has been re-releasing older films on 3D because converting them is inexpensive compared to new production. The studios figure the movies were such big hits the first time that people would go back to see them again converted to 3D. But it’s not quite working out that way. Ticket sales for Nemo, Phantom Menace and others were below expectations. 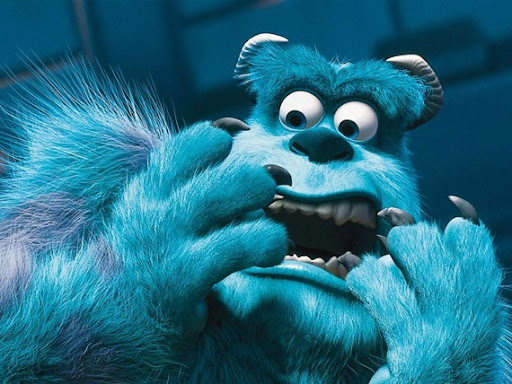 Monsters, Inc. is next on the 3D re-release schedule. The next two Star Wars films (prequels) are on the way too. Are there any films you’d pay to see converted to 3D? I went to see the converted Titanic and enjoyed it. I might be convinced to go see the original Star Wars (or “episode 4” if you prefer). I’d definitely see Close Encounters or Contact converted, since they’re my two favorite films of all time. Perhaps even a classic like Forbidden Planet. But beyond that I can’t think of any that would get me to part with the money for a more expensive ticket. 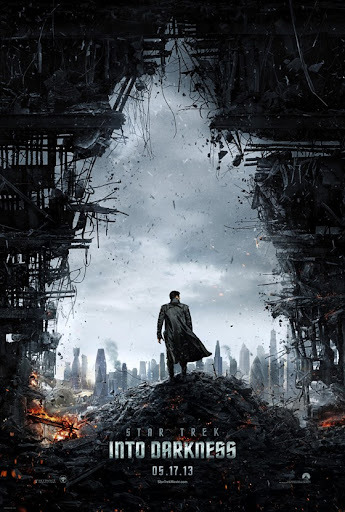 I’ve come to terms with the fact we won’t see a “Trekkian” Trek film again, that all we’ll get in the future will be action films in the vein of Dark Knight & Avengers. That said, when they’re well done they’re enjoyable, and the new cast is good. I really like Chris Pine’s take on Captain Kirk. But I’m also of the opinion that there was very little of the TV show’s magic in any of the movies featuring the original or Next Generation characters, despite how good The Wrath of Khan and First Contact were… because there’s something very different in seeing your “family” every week vs. seeing them every 3 to 4 years. There’s a consistency and a connection that’s lost in taking a TV show and turning it into a movie franchise. And as much as I enjoyed 2009’s Star Trek, I had some big problems with the story, the prime of which was cadet Kirk being promoted to captain at the end, when the movie could have made a much better point by having him promoted to Lieutenant and sending him off to serve on some other ship to learn some still-needed lessons… but I understand the point was to put all the iconic cast into their familiar places on the bridge of the Enterprise. Also, Kirk and Spock spitefully letting the entire alien crew die at the end was the most appalling un-Trek thing in the movie. The “prime” Kirk and Spock would have still found a way to save the alien crew, even if Nero still had to die himself. But no matter – Trek ‘09 was entertaining and, as I said, the new cast acquitted themselves nicely. Certainly I’ll be in line to see this one as well, and I care not whether the baddie here is Khan or Gary Mitchell or someone else. And hey, there be Klingons here. Apparently.